A walk or a visit of the town of Papeete, of the various cultural, historical or natural sites of our islands ? Several possibilities are offered. 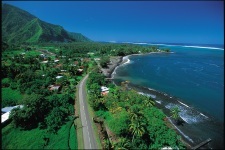 Tahiti Nui Travel provides a broad panel of circuits and excursions in order to discover the treasures of our islands. Our suppliers offer great quality services adapted to every desire. Precise wishes with a budget to respect? Our experts will be able to find the best choice… Go on a safari, a tourist bus, a hike or equestrian trot, etc. Discover Tahiti and Moorea on your own thanks to the Tikiguide, the first tourist GPS in French Polynesia. Take your time and choose the sites you wish to visit with your family, friends or beloved one. It is in fact an application installed on an IPod Touch which makes it possible to visit 120 tourist sites in Tahiti and 43 in Moorea. You will thus be able to freely explore cultural, historical, and natural places, whilst meeting the locals. Progressively as you stroll around the island, Tikiguide will ring as you get closer to a site worth visiting, a description of the places pops up, completed with beautiful photographs, as well as legends and stories related to the place. 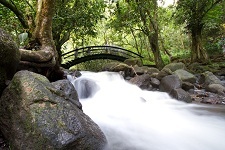 You will be able for example to enjoy the Mono’i Road and learn about this sacred oil… than make a stop at a beach to relax and meditate in front of the wide ocean… and at last savour some delicious Polynesian cuisine. Do not forget: you drive on the right with priority to the right; the French rules of the road apply in our islands. In addition, a list of the non-Community foreign countries which have an agreement with France regarding driving licenses has been published. 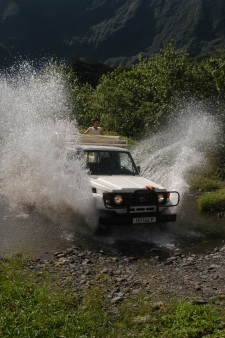 In Tahiti and Moorea the public transport companies NTCE and TCCO are the cheapest and best way to discover the island. It is thus possible to go from one district to another every day – except on Sunday. They start early in the morning until around 5pm. Waiting times are very variable, but generally there are 15 minutes between each bus. Do not forget to prepare your local coins before getting on !